Fortnite Battle Royale is Coming to iOS and Android! Just announced by Epic Games, Fortnite Battle Royale is coming to mobile! 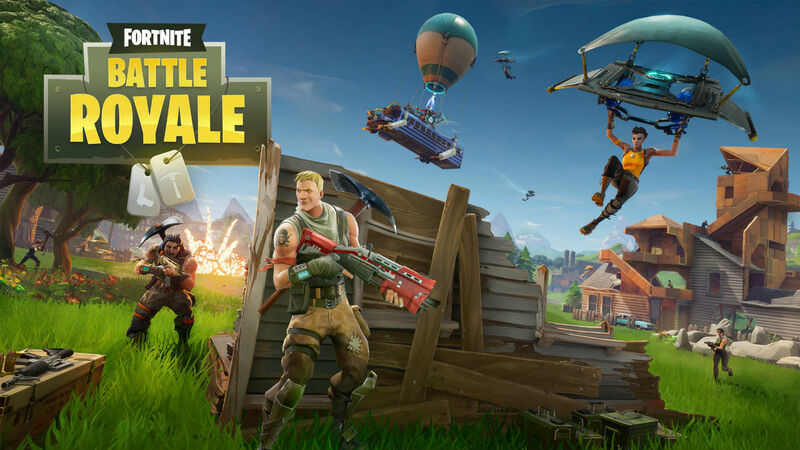 If you’re unaware, Battle Royale is a game mode for the Fortnite title that has solo players going up against 99 other players on an island littered with guns, traps, and materials to build forts. While you’re busy trying to eliminate other players, you must also watch out for a deadly storm that makes its way onto the island. If you’re trapped in the storm for too long, you’re eliminated. I could go on and on about Battle Royale because I love it so much, but anyway, back to this epic announcement. Here’s the full announcement from Epic Games. According to Epic, anyone with an iOS device can sign up for an invite starting March 12 through the Fortnite website. Following that, email invites will begin rolling out. If you’re lucky enough to get an invite, you will also be given codes for friends, allowing you and your squad to get down on some Battle Royale action. As for required mobile devices, Epic states you’ll need iOS 11 on at least an iPhone 6S/SE, iPad Mini 4, iPad Pro, iPad Air 2, and iPad 2017 devices. I know, there’s nothing about Android yet, but we’ll let you know as soon as we hear something.